O'Rourke's campaign said the $6.1 million came from online contributions. He also said that he didn't take any political action committee money — just like during his U.S. Senate campaign last year — and that he received contributions from every state and territory in the nation. O'Rourke, an El Paso Democrat, is the second Texan in the crowded Democratic primary to take on President Donald Trump. He joins Julián Castro, the former San Antonio mayor and U.S. housing secretary. O'Rourke's campaign did not release how many donors made up the $6.1 million or what the average contribution size was. Sanders' campaign said over 225,000 individuals made up its haul, with an average donation size of $27. In a fundraising email, Sanders' campaign sought to claim some victory despite being outraised — needling O'Rourke in the process. "Here is the truth: this morning, Beto O’Rourke announced that he raised more money than us on the first day of his presidential campaign," the email said. "The good news is, we more than likely had a lot more individual donations than he did." O’Rourke formally entered the presidential race Thursday morning. 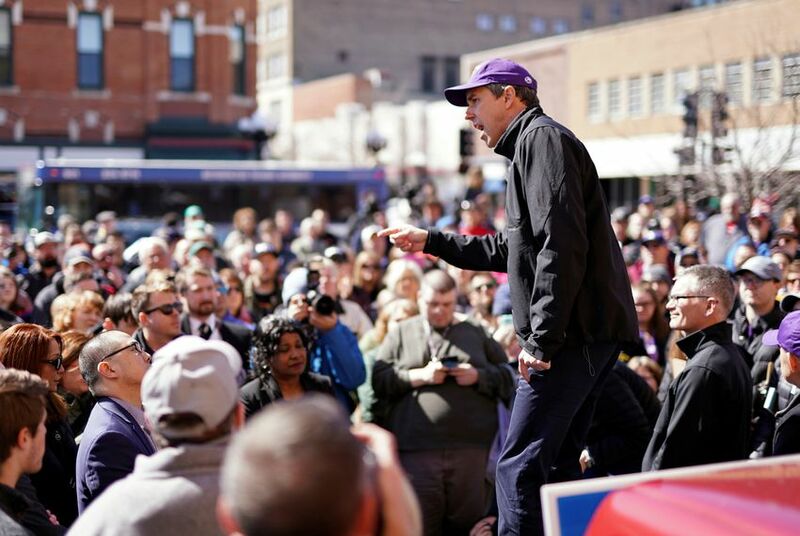 In the video announcing his candidacy, O'Rourke said he will travel the country before returning to El Paso on March 30 for a kickoff rally.